This integrated practice test and study guide product provides the perfect cert prep environment. If you're looking for state-of-art practice test software, you've come to the right place. Not only does eTestPrep offer more questions than its competitors, but it also provides context-sensitive links to a pdf of the full Sybex Study Guide so that you can learn while you practice. This integrated test prep product will give you the preparation you need to approach the exam with confidence. More than 700 Questions with two test-taking modes, twice as many as most of the competing practice test providers. Customization options including the ability to test on specific exam objectives and topic areas. Practice Mode is a timed environment similar to an actual live exam in that the user does not see correct answers and explanation until test is completed. 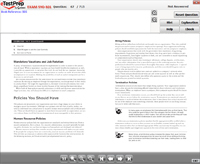 The eTestPrep software is available on a CD, or can be purchased and downloaded directly to the user's desktop from Sybex.com. CD-ROM products are also available from most online booksellers. The integrated e-book provides in-depth, context-sensitive explanations to each exam question, and allows you to toggle back and forth while in Learning Mode. 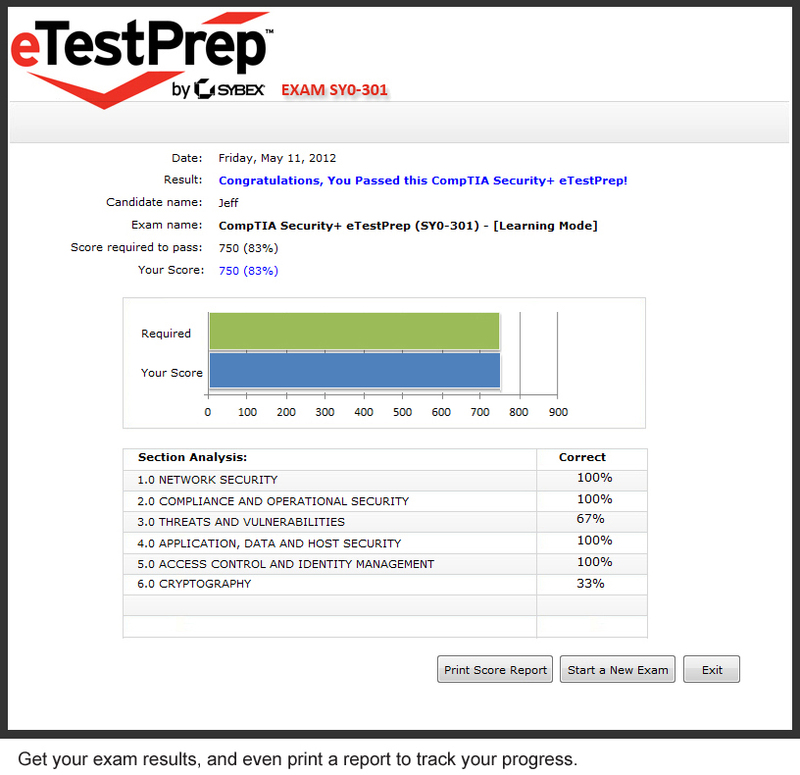 The complete Sybex's CompTIA Security+ Study Guide is included allowing you to study while you practice. Begin by selecting either Practice Test (a timed exam with a set number of questions), or Learning Mode (where you can create custom tests based on exam objectives or a chapter from the e-book). Get your exam results, and even print a report to track your progress. "CCNA eTest Prep has a practice test that simulates the real test and a learning module that lets you take the test with hints and helps. 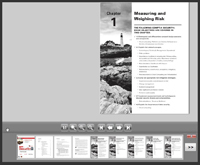 There is an integrated CCNA Study guide that goes over 16 areas of network study. 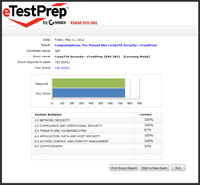 This is a good help in preparing to get certified ...."
I am required to maintain CompTIA Security+ certification for my job and needed study resources to ensure that I passed the exam the first time. I acquired the Sybex CompTIA Security+ Study Guide and read the entire book. 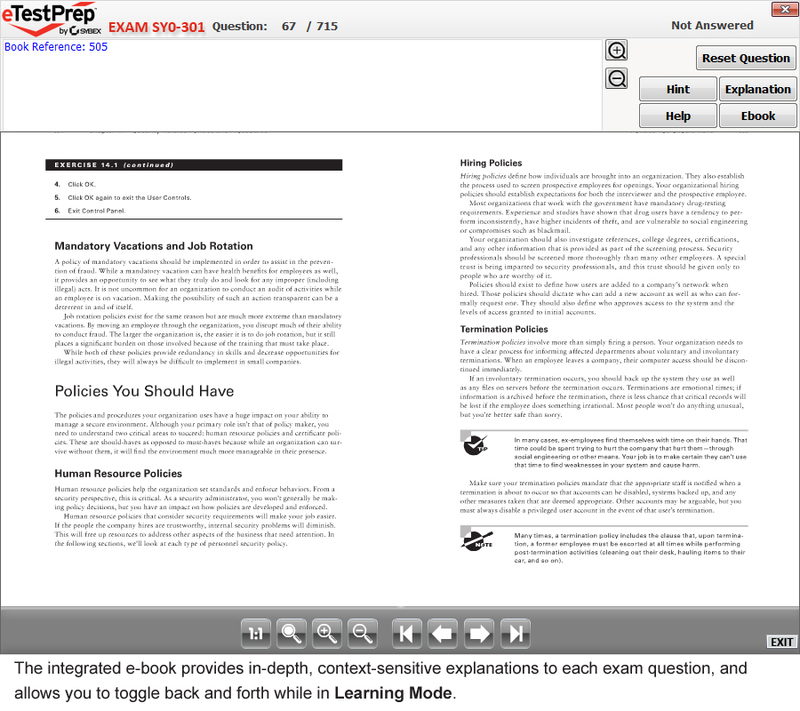 After taking all the practice exams in the book I then began using the eTestPrep software to further refine my knowledge and test taking skills. I can honestly say that I passed my Security+ certification thanks to these great products by Sybex. 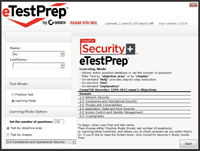 Read the book, use this eTestPrep software, then take and pass the exam!